This gem of a film, a 1932 pre-Code romantic comedy, was selected in 1991 for preservation in the United States National Film Registry by the Library of Congress as being culturally, historically, or aesthetically significant. Just the set décor alone makes this film a must see. 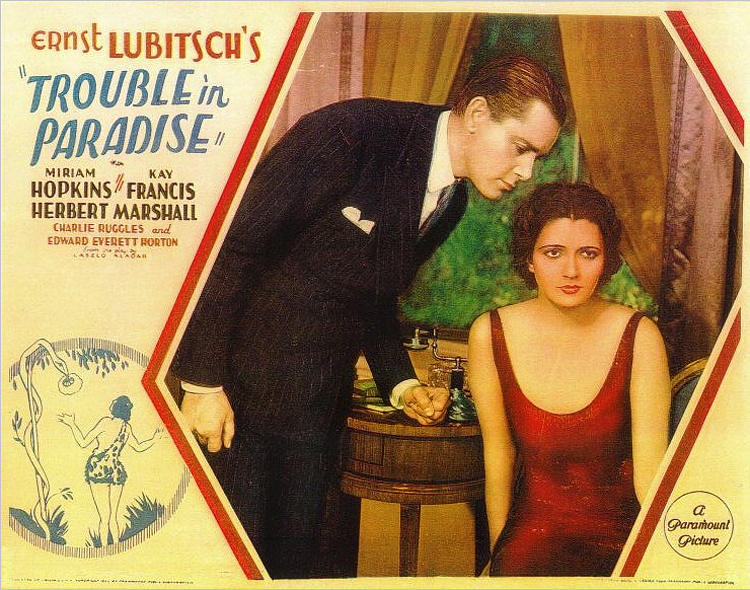 The director, Ernst Lubitsch, felt this was one of his best, and the critics agreed. Because the film contains adult themes and sexual innuendo, after the Code went into effective enforcement, it was not approved for reissue and was not seen again until 1968. The film stars Miriam Hopkins, Kay Francis, and Herbert Marshall, and the wonderful Art Deco sets were designed by the head of Paramount’s art department, Hans Dreier. Hans would later win an Academy Award for Best Art Direction for Sunset Boulevard (1950). Click on the link below to view the wonderful sets.